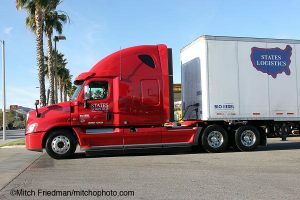 This is the States Logistics paint job for ATS v1.63x. This is for the freightliner cascadia. Credits for this truck: CyrusTheVirus (This update), Slamauser (Truck & some skins), Jon_Ruda, Sergej Baltazar (convert to ETS2), Solaris36 (convert to ATS & updates), Mandy (some skins), Kriechbaum (sounds).